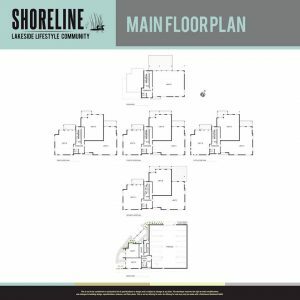 Shoreline Tower Sales Sales Start Soon! 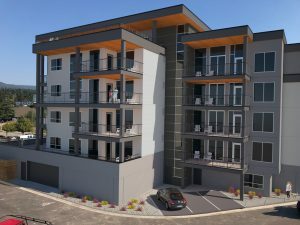 Sales are starting soon for Shoreline Tower, the beautiful condominium building that is home to only 15 homes gracing Shuswap Lake. Our showhome is open Thursday to Monday from noon until 4 pm. Tour the showhome, experience what it would be like to live on the shores of one of the most popular lakes in British Columbia and speak to our Property Specialist in person. 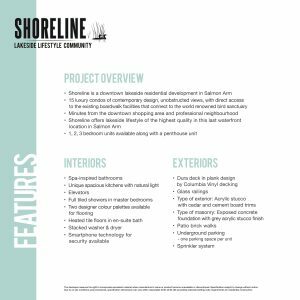 Contact our Shoreline Property Specialist today to set up an appointment to learn more. Click here to register online for more information and to be the first to know when sales have started! Visit www.lakesidelifestyle.ca to learn more about the location and features of this exclusive community. “Fortune has a reputation of getting the job done…” – No. 145 Cathedral Ventures Ltd.